If a picture is worth a thousands words, a screencast is worth much more than that. Sometimes the sea of documentation you need to navigate through is so burdensome, misleading and doesn’t match the reality that you need another way to assess the current state of how the software systems are constructed. Moreover, even if you perceive that all the documentation is accurate, it’s always good to see how engineers perform these actions as a validity check. Sometimes people don’t realize all the steps they’re performing. All of these factors contribute to the need of recording the current state of how the software systems lifecycle is performed. The best way to do this is use the value-stream map you created in the previous sub lesson and meet with each person responsible for their portion of the value-stream and record a screencast of the relevant actions they perform as the software moves through the lifecycle. You can do this using many of the available screecasting tools. 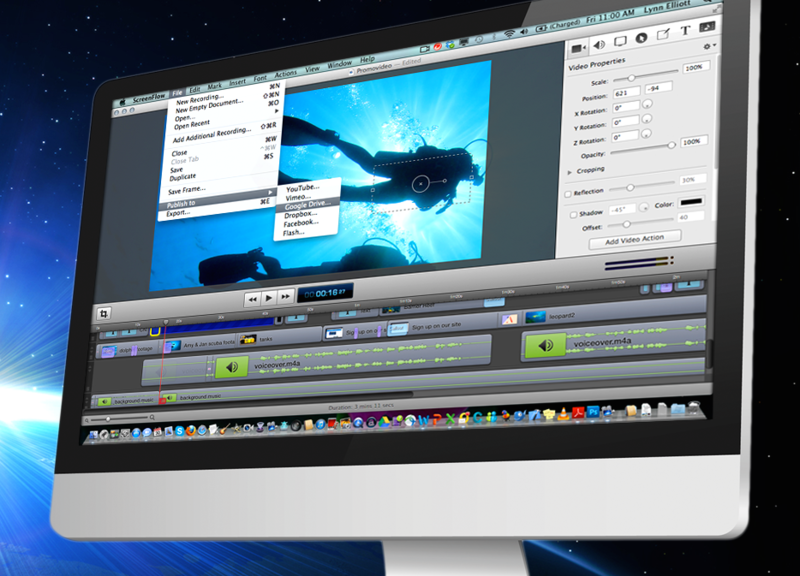 Some examples include the Quicktime tool with the Mac, Screenflow and Camstasia. After these recordings, piece together the various parts into a “movie” of the complete and current value stream. Use this as a way to validate the current state of the documentation as well.